Quick update on life in Berlin first. Its been an exciting week, I finally have a visa to stay in Germany until October 2015! Happy Days! Its only took numerous visits to the Aliens Office, getting up at 4:30am and a 4 hour wait but it was worth it in the end thank god. We just need to get Daniel’s now and we’ll be living easy (oh and the small matter I still need a job.. any one want to hire me?? I promise to be awesome). It also suddenly got really cold here, its like we glossed over Fall for about 2 weeks and now its just all just flying into winter. We took a day trip to Potsdam again this week to ride bikes around the town and see all of its famous castles and buildings. It was fun… but also miserable. I was so cold by the end of the day I actually felt like crying haha. Poor Daniel was a saint putting up with my complaining. I am not going to survive winter. Ok so onto my top 5 moments from my month of travels in the Mediterranean in August. I thought it would be easy to pick 5. Nope, definitely not. There was more like 15. I managed to narrow it down to 5 and will be posting on more on each and the other 15+ in the upcoming weeks. Its about time I posted about this trip but for now here is a taster of my time in the Med. One of my favourite days from Yacht Week was when we rented scooters/vespas and rode all over the gorgeous island of Vis. I had never ridden any sort of motorbike or motorised scooter before but figured how hard could it be?? Surely I’ll just pick it up. Our skipper told the guy we rented them from we knew how to drive them, I think the guy quickly realised it was a lie when I couldn’t even switch it on and then almost burst forward into a pole. We finally got going, two per scooter so I had my bestie Cassie on the back. This just made it so much more terrifying, I had images of us crashing and ripping all our skin off. Not nice. AFter about half an hour of puttering along and barely making it around corners we finally got the hang of it and had an amazing afternoon zipping around the gorgeous island. That was probably my favourite day of the entire trip. Yacht Week. The ultimate party. I think the pictures speak for themselves but really it just doesn’t get better than yacht week party. From giant cocktail jugs, to extended straws into other peoples cocktail jugs, dancing on walls to dancing on boats, bottles of Moet being shaken and sprayed over the crowd to buying 6L bottles of Belvedere complete with a light inside. It was crazy. Needless to say we all need some serious recovery time and detoxing afterward! But it was oh so worth it. Any Game of Thrones fans will probably recognise this town as Kings Landing. I loved Old Town Dubrovnik and its classic charm. The rustic stone buildings, the stone roads that were now shiny from being walked on for so many years. But the best part of Old Town and a must do if you go is walking around the top of the wall that encloses the city. The views of the city and surrounding Dubrovnik are breathtaking. It is the best way to truly see the city and all of its little alleyways and narrow winding streets. You get a true picture of how crowded in the buildings are and of how well fortified the town is by the wall itself (some parts are 12m thick!). In Santorini we rented quad bikes (ATVs) for the day and explored the entire island from top to bottom. Such a unique Island we couldn’t get over it, just brown dirt and volcanic ash everywhere but then these stark white houses and buildings in contrast, right up tot the edge of the island that looks like it could just crumble away into the sea. If you go to Santorini do not even bother with a car, you won’t get anywhere and you certainly won’t be able to park. Santorini was made for quad biking and seriously its way more fun than just driving a car, even if we did have to roll start ours a couple times. 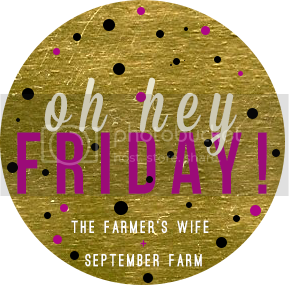 Oh hey, Friday! 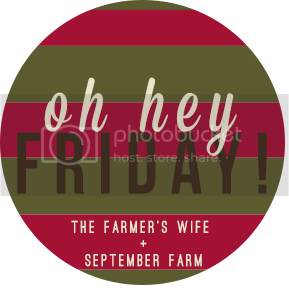 I didn’t even realise it was Friday, this whole not having a job thing is awesome and annoying at the same time. I love the flexibility but having no schedule every day tends to blend into the next. Don’t get me wrong we are constantly out doing things and exploring Berlin but it does feel like everyday is the weekend. 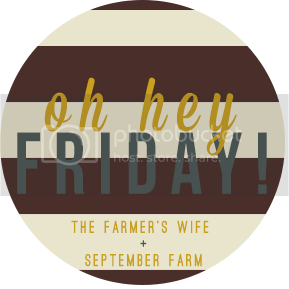 This makes Friday a little less special except that today I’m finally joining my first link-up with the fabulous Karli over at September Farm! Since coming to the Northern Hemisphere in fall and joining the blogging world I’ve discovered this thing they call fall is actually kinda a big deal with certain rights of passages and I’m now obsessed. So here are 5 Northern Hemisphere Bandwagons I’ve jumped on and am holding onto for dear life before what will definitely be my most intense winter ever. I totally get it now. And i can tell you it’s not just Americans obsessed with this heavenly fall party in your mouth drink. When I ordered it the girl handed the cup to the barista with a swift roll of her eyes and exasperated ‘yet another PSL’ (the barista made some big hand gestures and ranted in german, I think she was excited). From the caffeine to the whipped cream and the cinnamony sugary hint of pumpkin? What’s not to love? 4. Apple Pie (or more accurately galette). What do you do when you have a bunch of fresh picked apples and no pie tin? Make Apple Galette of course. Omg I could have eaten the entire thing to myself and it was the easiest thing to make. I foresee a lot of galettes and fatness in our future. One of the happiest purchased I made within days of arriving here, german made brown leather insulated boots, my feet and calves are going to love me as the temperature/barometer continues to drop. I have been searching for the perfect pair for years but having size 42 feet makes things tricky so when I found them in my size, exactly what I wanted and cheaper than what I found back home it was a no brainer. Now all I need is to go pick my own pumpkin and then elaborately carve it like the ones all over Pinterest, because Pinterest projects always turn out like the picture. Seems doable.